Entering the 1980 season, 20th century baseball fans had likely never seen a player quite like Joe Charboneau. Honestly, we haven't seen one since. 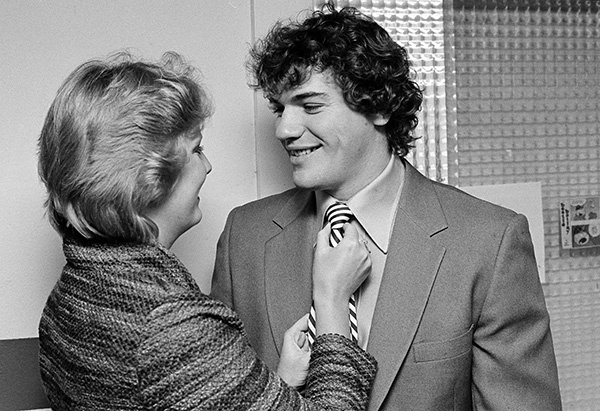 It all started from his first Major League game on Opening Day in 1980. The Indians hadn't been within 10 games of first place since 1959, but here came a glimmer of joy in the madcap adventures of the curly-haired rookie. In a recent phone call with MLB.com, Charboneau pictured the day vividly. He remembered the family and friends who made the eight-hour drive from central California to be in attendance at Angel Stadium. He remembered being calmed by the presence of Carney Lansford, a player he had regularly competed against in high school. He even remembered that the right-field grandstand at Anaheim Stadium was being remodeled. With one out in the top of the fifth, Angels starter Dave Frost threw him a slider, low and away. "I was a low-ball hitter, so I had to hit it," Charboneau said. "In Spring Training, I had done real well against the Angels, which gives you confidence." One swing later and Charboneau had his first big league hit and homer. Of course, nerves had gotten to the rookie. "I think I lost my breakfast on deck. One of my teammates had a towel right there, because he figured something like that was going to happen." Soon, Charboneau madness had broken out in Cleveland as the rookie continued to mash, with a .300 average and 11 home runs by the end of June. But his production at the plate wasn't the only reason fans fell in love: A number of tall tales came out that made the rookie sound more like Paul Bunyan or Johnny Appleseed than a real human. - He fought in bareknuckle boxing matches as a teenager to earn money. - He fixed a broken nose with a pair of pliers. - After a doctor eventually fixed all the crushed cartilage, he could drink beer through his nose. - He cut a tattoo out with a razor. - He was stabbed with a pen while with the Indians were playing exhibition games in Mexico. - He would play "The Incredible Hulk," a game where he held a giant rock on his chest and had another person break rocks against it, until both stones were dust. - He stitched a cut with fishing line. - He won a bet by eating six lit cigarettes. - He opened beers with his forearms ... and his eye socket. According to Charboneau, most of the stories are true. Which ones? Well, that would ruin the magic. "A lot of them are true, but as the season progressed and we went to city to city and played different teams in the American League, some stories came out that I'd never heard of. Like football, everybody started piling on." "Who's the one to keep our hopes alive? Straight from the 7th to the pennant drive? Raise your glass, let out a cheer. It peaked at No. 3 on the local charts, and Charboneau said, "To hear it on the jukebox and on the radio station driving into the park was pretty fun. I enjoyed it." Though he added, "As long as I wasn't singing. If I was singing it, you'd walk off an airplane with my voice." While the stories may have turned the self-described "punk rock ballplayer" into a celebrity both at home and on the road, not everyone was pleased to hear the tales that birthed the legend. "I think my wife was a little mad at me. My mom was really mad at me. I don't know how the Indians took it, but I think they were a little taken aback. Nowadays that's like nothing." Charboneau would go on to collect the Rookie of the Year Award and inspire countless young fans to bat like him, but that would represent the high point of his Major Leaguer career. Due to a series of back surgeries trying to fix "five to six discs out at the end," he only played 70 more Major League games and hit just six more home runs after that 1980 season. Though it was the end of his big league days, it certainly wasn't the end of the Super Joe. 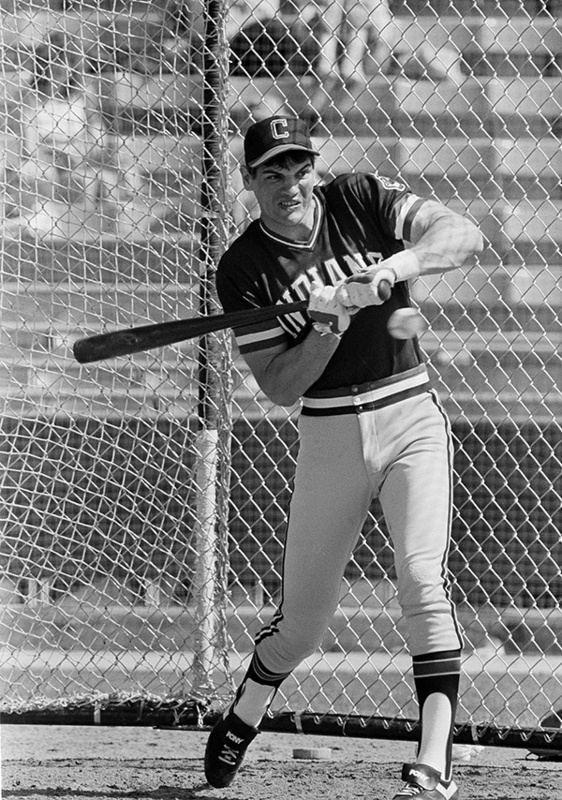 He tried to work his way back into shape for a possible comeback after being released by the Indians following the 1983 season, but the roster he landed on was the cast of "The Natural." Unfortunately, the world wasn't ready for Joe Charboneau, international movie star. "I think about 20 percent through my part, they realized it didn't look right." Though his role was cut, the production still used the slugger as an extra on Robert Redford's New York Knights, and as a coach to keep the other actors in ballplaying condition. "When they weren't filming, we'd go out and actually play games against each other," he explained. "We'd have guys pitch, have an umpire. We'd go to the park and play games. Just to keep those game-type skills going in those uniforms, with those small gloves." Charboneau's time in the movie business helped him get back in shape, which actually landed him a contract with the Pirates in 1984. Though he failed to make the big league team, he -- along with players like Len Barker, Cesar Cedeno and Al Oliver -- would go on to play and instruct throughout Europe in the 1990s while traveling with U.S. servicemen. "We were staying on aircraft carriers and were doing a lot with the servicemen. We got catapulted off an aircraft carrier in one of the big 22 seaters. We were helicoptered on deck and played Wiffle ball with the men, signed autographs," he recalled. "We spent part of the time actually on the water -- on destroyers and aircraft carriers with the guys -- and probably 60 percent of the time on land with the guys doing clinics for the kids." It was those experiences, including some exhibitions against Italian and Spanish professional teams, that led to his final professional at-bat with the Canton Crocodiles of the independent Frontier League in 2000. The team scheduled a promotion: If Super Joe homered, a fan received $25,000. And if the pitcher struck him out, the hurler received a full week's pay of $500. "So, I was smoking a cigar on the bench and the players go, 'Aren't you nervous?'" Charboneau said of his final at-bat. "I go, 'Why would I be nervous?' They go, 'What if you strike out or something?'" But he wasn't nervous. "'The worst I'm going to do is get a single,'" he told them. "I don't know why I felt like that, but I did." Sure enough, Charboneau laced a hard-hit single at the age of 45. Nowadays, Charboneau is the hitting coach for Notre Dame College in South Euclid, Ohio, and the owner of the amazing job title for the Indians: Ambassador for Baseball. His greatest memory isn't one of his home runs or his Rookie of the Year Award or even the song written in his honor, but rather, a moment he wasn't even the star of: Len Barker's perfect game on May 15, 1981. "So, come the seventh inning, manager Dave Garcia went to Barker and goes, 'I'm gonna pull Charboneau in left.' Barker goes, 'If you pull him, you'll have to pull me too.' I stayed in left field the whole game because [Barker] wanted me on the field. He thought everybody who started should be on the field if he pitched a perfect game." He was glad to be on the field at the end, but that didn't mean he wasn't nervous. "I was terrified," Charboneau admits, but he didn't have to be - the last ball of the game flew out to center fielder Rick Manning. Your browser does not support iframes. Sure, he could cut out his own tattoo, open beers with his eye socket and have rocks broken against his chest, but playing in a perfect game? That was terrifying.